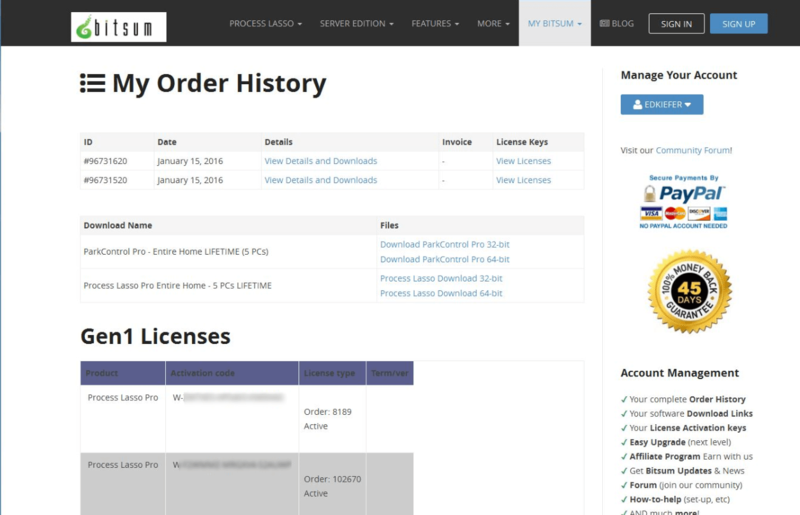 We’ve now added Legacy (now called Gen1) Licenses to the My Licenses page of our new website. This means that both your legacy and new license codes (if any of either) will be listed in the same place. Since both systems will continue to function indefinitely, and they are both accessible in the same place, we now do not plan to reissue licenses – as there is no need. To access your legacy licenses, you simply need to Register for an account at our new site (upper-right). If you find an account already exists, then Log-in, using the forgotten password help if necessary. Be sure to use the same email address you used at our old licensing site (you can change it later if you get it wrong). WARNING: Not all Gen1 licenses listed are still be valid and non-expired. We are working on this functionality now. The next step for us will be to auto-create accounts for everyone in the legacy database; random passwords will be assigned to them. In either case, manual or automatic registration, when you are registered with the same email address you previously used at our legacy licensing site, your licenses will all be bundled together. At present, this brings our ‘systems migration’ status to about 95%.